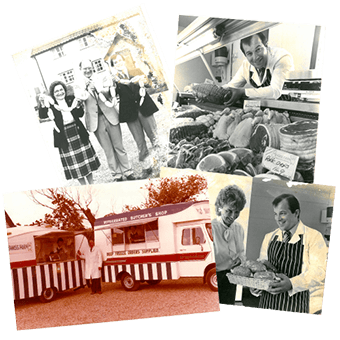 Swiss Farm, The Country Butcher is a family run butchery, first established in 1972 in the Suffolk countryside outside Ipswich in rural Ashbocking. We pride ourselves on providing quality meat, poultry and delicious sausages at great value. The butcher for everyone! With the growth of out-of-town supermarkets pushing traditional butchers out of business, and growing pressure on family budgets, David found the opportunity for Swiss Farm: Great quality butchers meat, affordable great value prices and a friendly, welcoming butchery service for all. You really do get more for your money at Swiss Farm! Over the years, the range of great quality meats has increased to include traditional cuts of lamb, beef, pork and poultry and today Swiss Farm’s famous large chicken breasts remain our most popular product. We do it all here! From dry curing our bacon and smoking it in our smokehouse, to making all our own sausages and burgers here in the Swiss Farm butchery. Preparing great quality produce for our customers every day is our priority.